And so we bravely enter the 1980’s (though, again, not technically). The Dragon #33 (we haven’t dropped the “the” yet) welcomes the new decade with “Dragon’s Lair” by John Barnes. The painting won Best of Show and “Best Color Fantasy” awards at the Northwest Annual Science Fiction Festival in Seattle. … looks like a darn good idea to me. Presented by Fantasysmith – the person knows his or her stuff! 1) The score must be exceeded on a d20 before rolling reaction dice. If not exceeded, the NPC just walks away – no interaction with the players. I kind of dig this – after all, when confronted by a group of murder-hobos, I think most normal folk would get the heck out of there, smiling and making excuses. 2) The Caution score is also used to determine whether an NPC will get involved with a PC – do they throw caution to the wind and take the plunge. Again, you roll d20 and try to exceed CAU. In the case of “woo pitching”, as the kids say, you add the NPC’s Libido score to the roll. Libido score, you say? What’s the Libido score? Sounds like the religious nuts are already giving him trouble over the “occult” influences on AD&D. “Gary Gygax and I have gone around in a circle on this spell for some period of time. The controversy, in my opinion, lies around the fact that there is NO SAVING THROW and that the missile goes “unerringly” to its target. Why is this so annoying to me? It is unfair because it allows players to foil most opposing spells by putting a Magic Missile into the opposing spell caster, it allows Magic Missiles into melee regardless of the size difference and quantity of ‘friends’ in the melee, and it allows for shots that would amaze Robin Hood with their accuracy! So what’s wrong with individual rulings? Well, what was wrong was that the hobby had already grown into two camps. One was playing the game at home, and doing what they wanted with their campaigns. The other was either playing at conventions, and thus needed everybody on the same page, or was playing at home and still believed that everyone needed to be on the same page. I’m a libertarian, so you can guess which side I’m on in this argument. In Lakofka’s defense, it’s not just about standardization or extra rules. It’s about players being creative with spells, and trying to turn every spell into “instant death”. “‘Why, ‘tis as plain as the forbidden pikestaff! 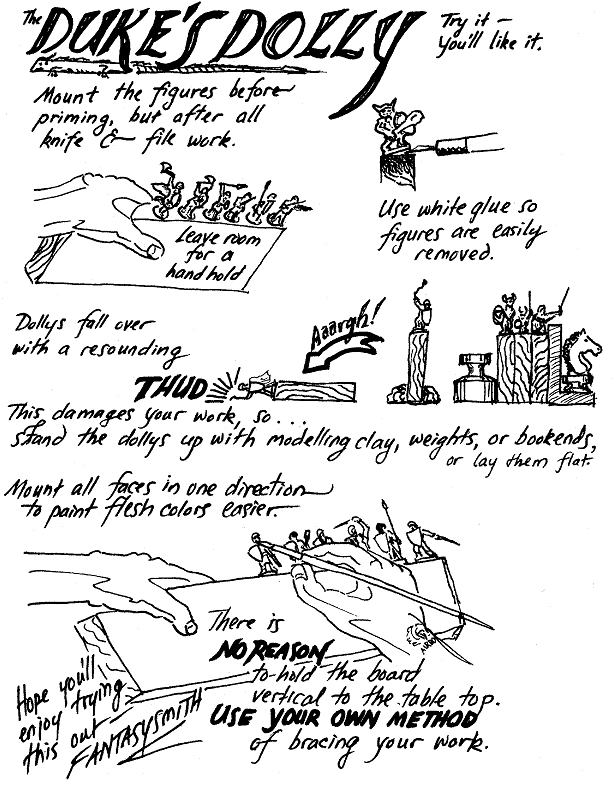 The purpose and nature of all edged weapons (and what is a point but a section of an edge?) is to cut, release blood and kill, both in reality and symbolically. Now, some might argue that symbolism is pointless – the enemy is dead. What does it matter that he was slashed or bludgeoned to death? But we’re talking clerics. Priests. Symbolism is everything! 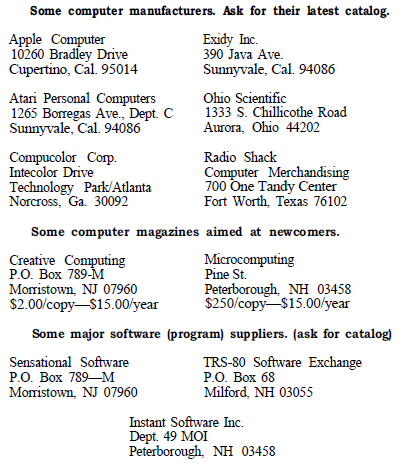 Did you ever want to see a huge list of Game Masters operating in the U.S. in 1980? Great – this issue is for you. Let’s check out my stomping grounds, Las Vegas NV. We’ve seen Bil Coburn in the pages of The Dragon before, writing on the effectiveness of poison back in September 1978. I couldn’t find him online, not David Whitney. Alas. “QUESTION: Is an invisibility spell cancelled when you fall on your face from tripping either over your own feet or from someone elses number 13s? 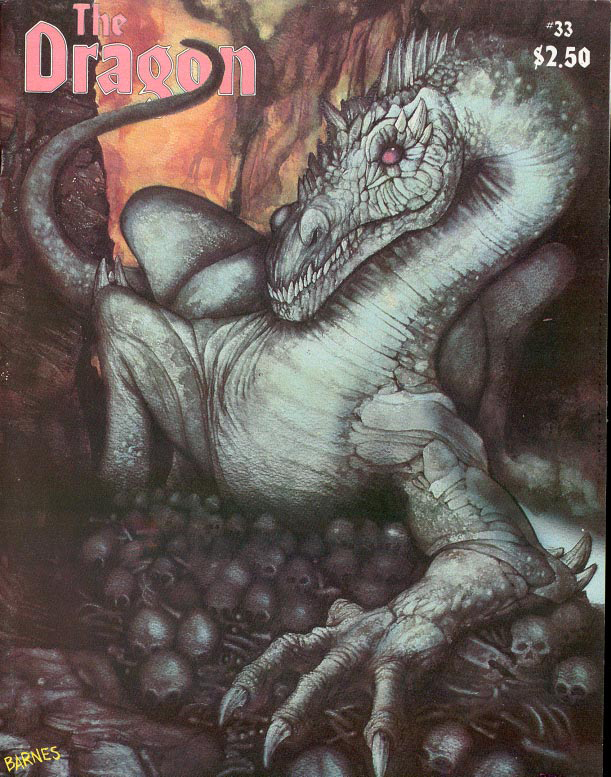 The “Dragon’s Bestiary” this month is by Roger Moore – Rogar of Moria. 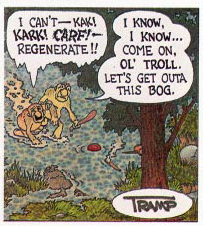 I always like Roger in the pages of the later Dragon’s that I read. Frosts can turn invisible at will, but cannot attack while invisible. They can use cone of cold (3 dice) once per day and frost fingers (cold version of burning hands) 2/day – and can use frost fingers while invisible. One frost in six can use freezing sphere once per day. Frosts can also control temperatures within 10 feet.